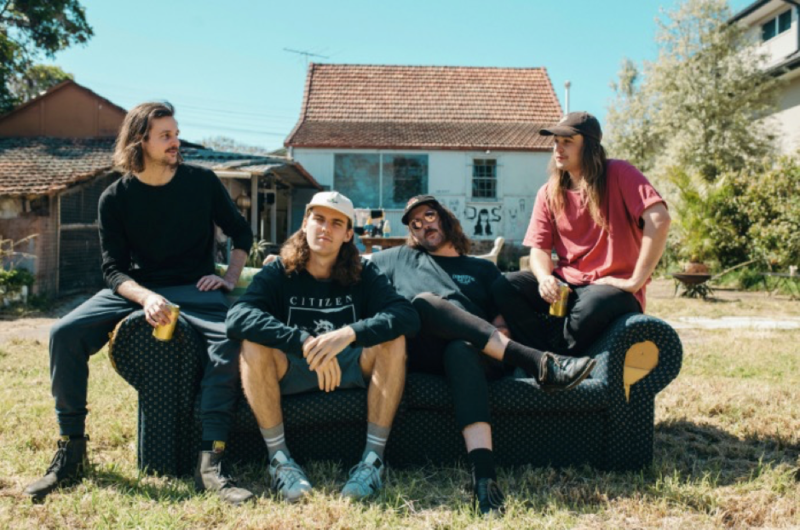 Following the announcement of their highly anticipated debut album DON’T LET GO, out February 15th, Sydney’s much loved Dear Seattle have announced that they will be celebrating the album with a unique, not-to-be-missed live show on a boat cruise through Sydney Harbour. To add to the excitement, the band have also unveiled the official music video for their latest single “Daytime TV”. The second single taken from DON’T LET GO, the track is a contagious Aussie anthem about finding someone you love and having absolutely no idea how to go about letting them know and was recently added to high rotation on triple j. Lead singer Brae Fisher explains: “Daytime TV is about circumstances where being entirely yourself is the best option, but often the last thing you would ever think to try. The video follows a day in the life of Skippy, years after his fame as the beloved bush kangaroo on Australian TV, as he reflects on old tapes of his show from back in the day and despondently reminisces on his past popularity. He has run ins with avid fans and old fellow stars such as Blinky Bill, treating them horribly due to his own insecurities. DON’T LET GO is available for pre-order here and “Daytime TV” is available now on all digital platforms. All orders at JB-HIFI and Amazon come with a free badge pack.